The Countryman fan-forced is now available at Jarrahdale Heating Midvale. Boasting our largest firebox yet, this impressive freestanding wood heater offers maximum heat output, warming up to 300m2. The Countryman also features a large door opening for easy loading of larger logs while offering cosy views of the fire from its oversized glass viewing pane. The Countryman is the perfect wood heater for a large residence, open-plan living areas and homes featuring high ceilings or a mezzanine floor. 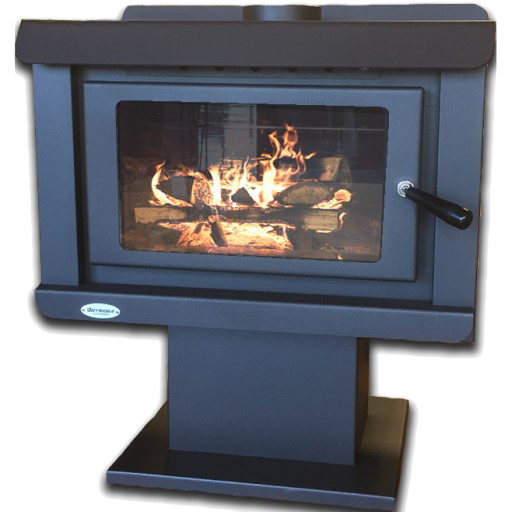 If you would like to know more about the Countryman freestanding wood heater, please fill out the form below and one of our friendly staff members will be in contact with you as soon as possible.